The School of Science requires that if you are responsible for handling animals within its facilities, that you comply with the University’s policy for the Conduct of Ethical Research and Teaching Involving Animals. The policy ensures that all ethical considerations are taken into account, and that the welfare of the animals involved in the research and teaching are considered. As a student studying with the School of Science, you will on occasion be required to undertake fieldwork as a part of your studies. If you are undertaking fieldwork, you should download the appropriate documents and safety guidelines. The School of Science operates a number of laboratory facilities. If you are undertaking study or conducting research within these laboratories, you are required to familiarise yourself with the necessary occupational health and safety procedures prior to operating any equipment within these facilities. As a post graduate student in the School of Science, you will be given access to the Blackboard Community "School of Science Information", which contains required work health and safety information and documentation. 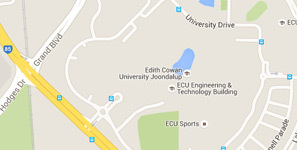 If you have any access difficulties, please contact ssciadmin@ecu.edu.au for support.